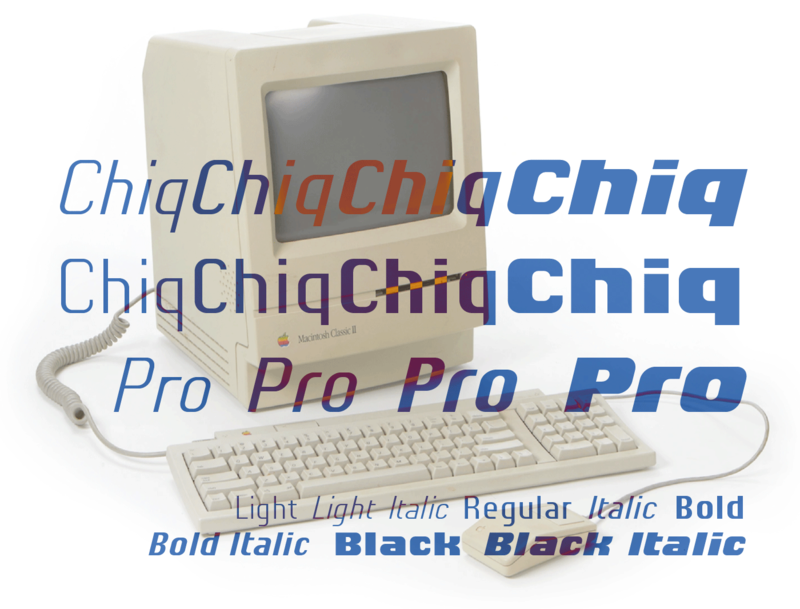 As the name implies, the ingoFont Chiq reflects back on a well-known system font from Apple. With the revision and expansion of the good old ”Chicago,“ I want to make these forms available for the future as well. 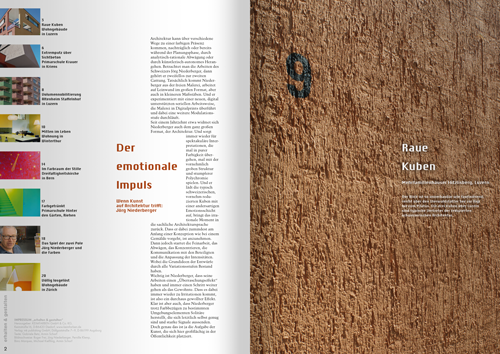 The idea to create a font in which the vectors are designed as simply as possible also plays a role — because the appearance of fonts is described with mathematical vectors and the vectors are defined by a number of corner and curve points — anchor points. So I revised it and reduced all unnecessary details. And while I was at it, I went ahead and made an entire family out of the original font, including italics, of course. 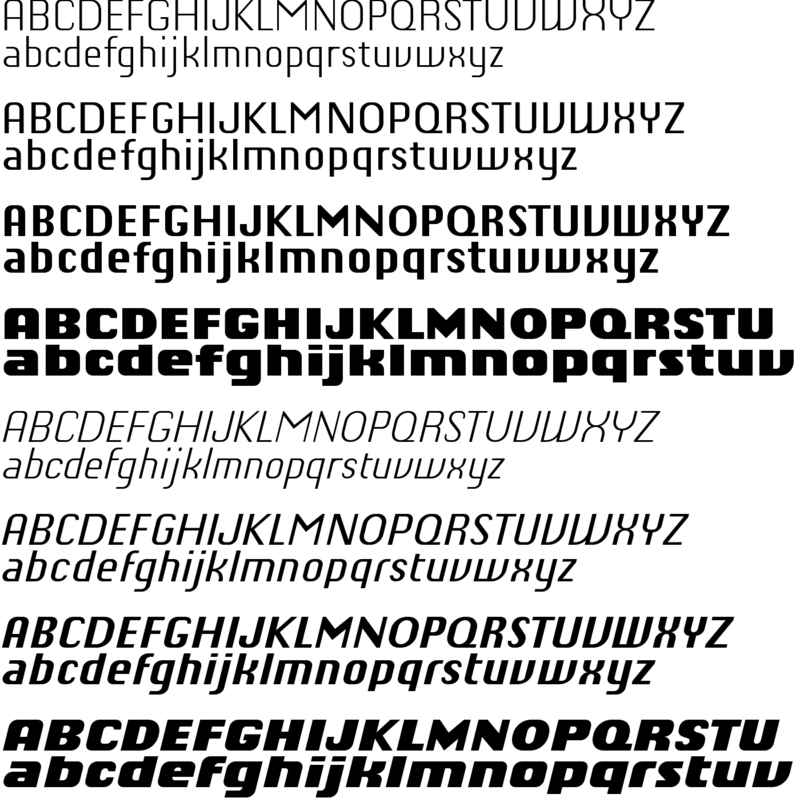 The font is even clearer, and in a way speaks an even more modern form language. 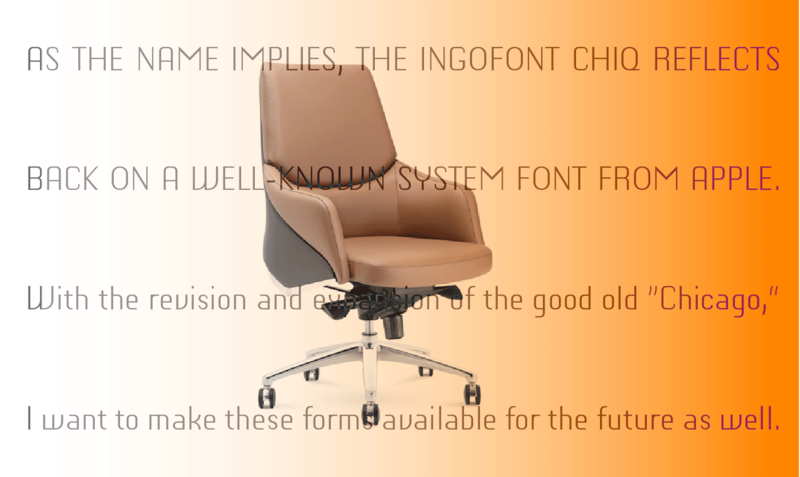 With eight versions Chiq clearly reaches beyond its archetype; and thus allows a wide spectrum for application. The characters are very constant and sometimes form very individual figures making the font less appropriate for long passages of text. 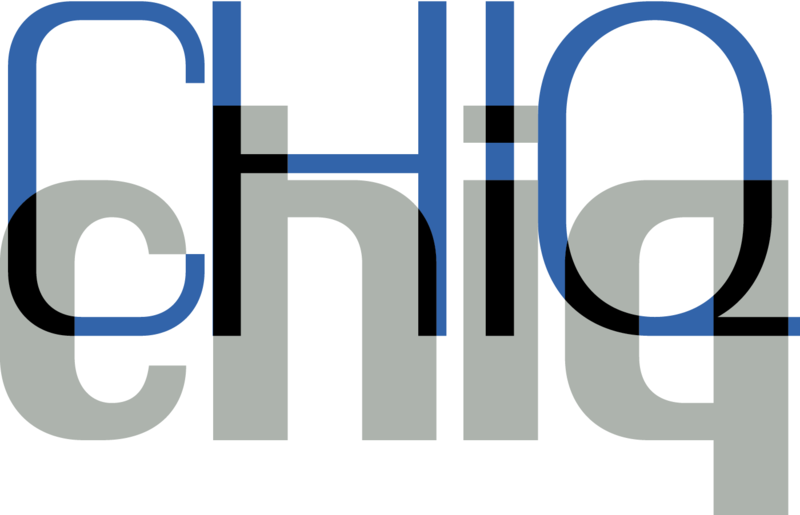 The name Chiq is a reminder of the original pattern. 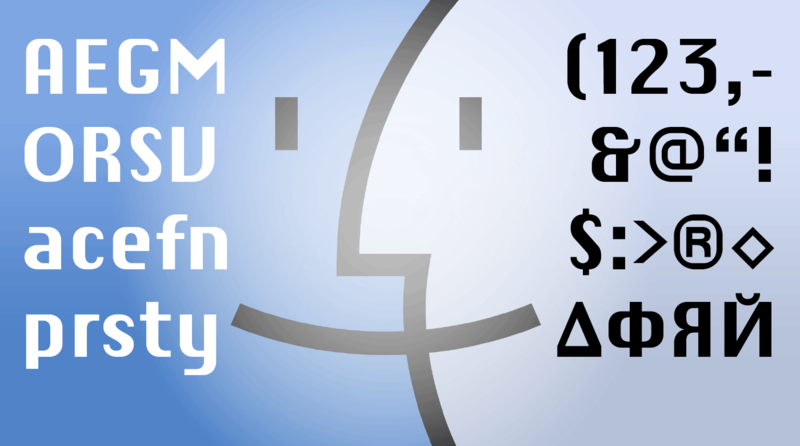 And so the ingoFont Chiq offers the possibility to conjure up the impression of the old Macintosh operating system Mac OS9 for use in the future. 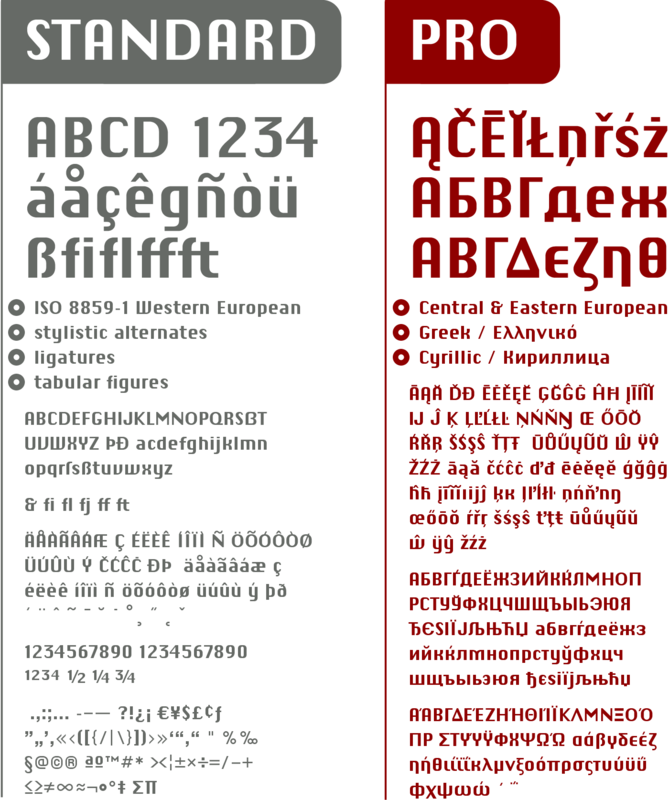 A modern font family includes the complete Unicode typeface for all European languages. 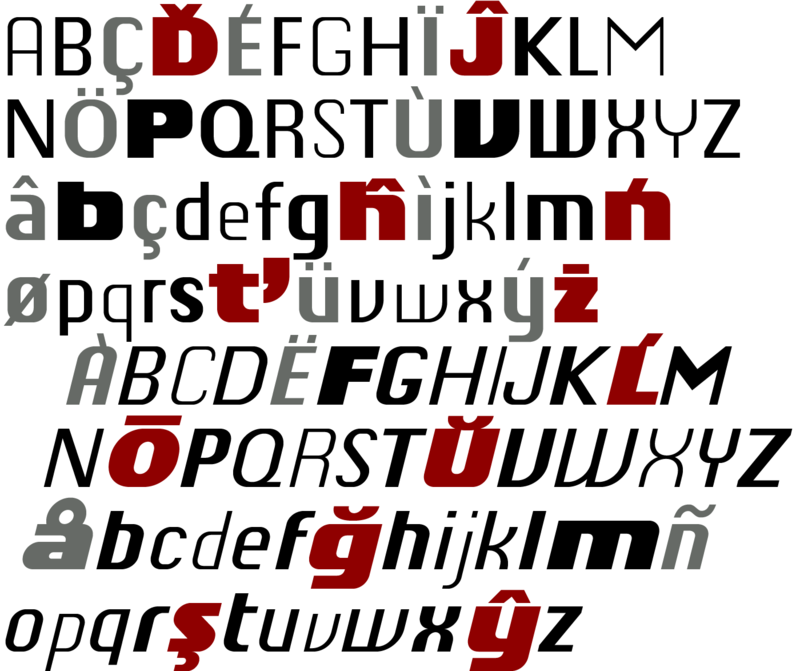 Chiq Standard and Chiq Pro include some ligatures and support West European languages; Chiq Pro even supports all European languages including Turkish, Greek and Russian.